Looking for the best web design ideas for home maintenance websites? 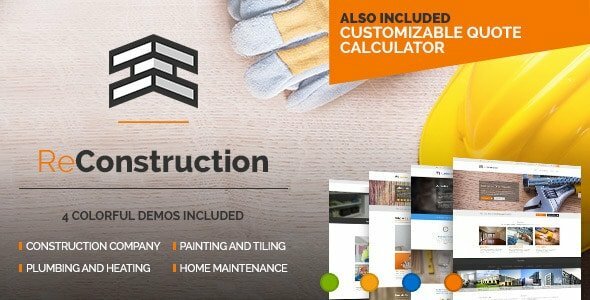 Don’t miss this brilliant set of 30 Home Maintenance WordPress themes to build a modern website that can hold cachet. Having a website is fine, but if you want to stay ahead of the game – the digital front door of your brand must be authentic. Whether you provide electrician, plumbing, carpeting, or air conditioning services, think big. 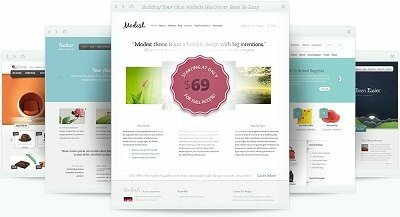 It’s undeniable, there are lots of premium WordPress themes that deserve your attention. WordPress is the go-to tool, so nothing is off limits when it comes to creating a website. Not even the Moon is the limit. Try it simply just to try. 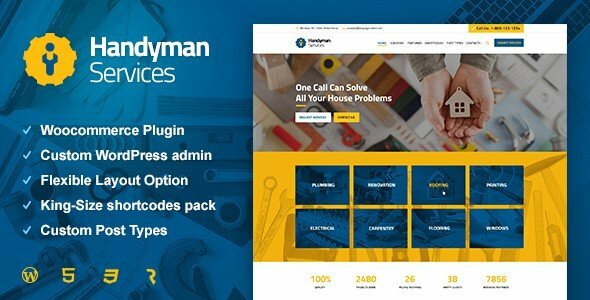 Anyway, this collection of 30 home maintenance WordPress themes can take your business to the new heights. Responsive and effective layouts, awesome animation effects, a set of shortcodes, SEO-optimization, these are only a few advantages included in these themes. Take time to play around every theme to make the right pick. 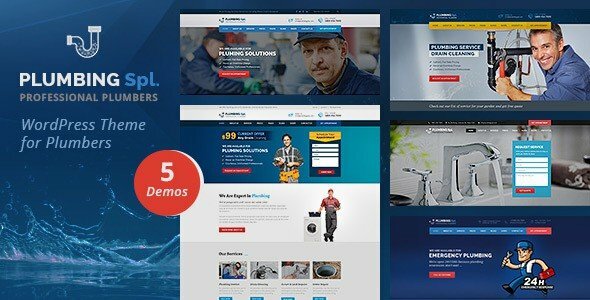 Designed for plumbing companies, this modern WordPress theme is a perfect choice for a plumbing, carpentry, renovation, or construction website. It comes with responsive layout, Gallery, WPML support, SEO-optimization, Revolution Slider and Visual Composer plugins. Enjoy its live demo. 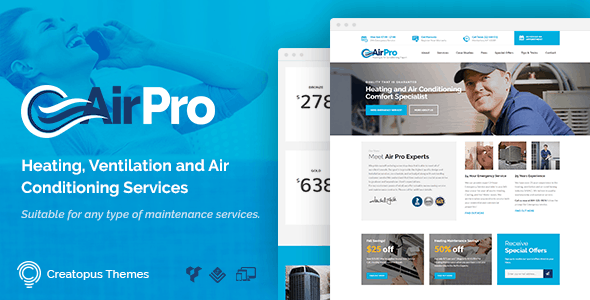 Take a look at this modern home maintenance WordPress theme that is just the thing for air conditioning companies, heating services, and air supply stores. With an Appointment plugin, you can manage online appointments to make clients happy. Every corner of your site will look sharp thanks to 100% responsive and Retina ready layout. 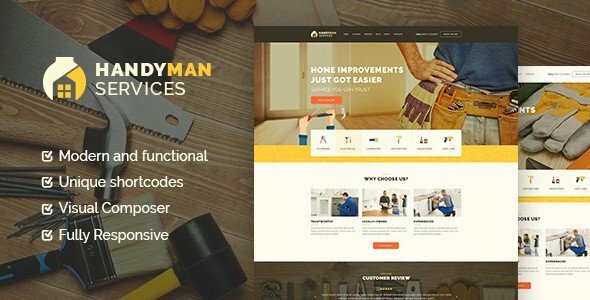 Here’s a modern home maintenance WordPress theme well-suited for handyman companies or repair agencies. Help your customers solve the need they may have. The theme comes with multiple layouts and color options, responsive design, SEO-optimization, online Appointment, and a bunch of custom plugins. Don’t miss it. 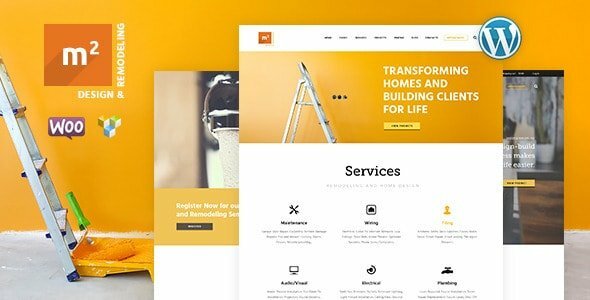 This modern home maintenance WordPress theme fits well for repair, renovation, plumbing and roofing websites. Totally responsive, SEO-friendly, WPML ready, easy to install and update, the theme can help you build a powerful repair service website. Hit the live demo button. Give it a try now. 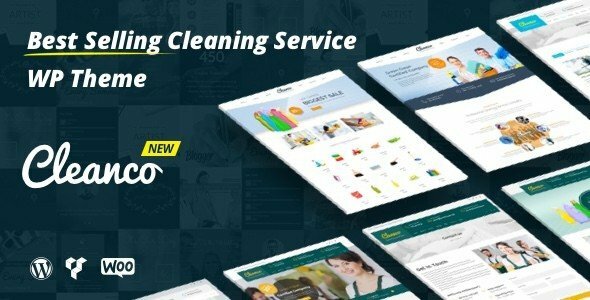 Puzzled over how to choose the best home maintenance WordPress theme? Renovation is just the thing for you. Represent your professional team and services in the best way possible. Thanks to WooCommerce integration, you can set up an online store in no time. Market yourself. Play around the theme to see whether it suits your unique business. 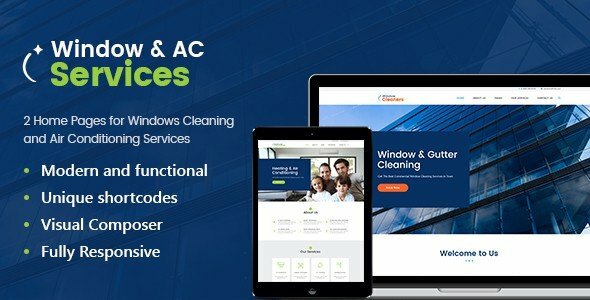 Looking for a template for window cleaning and air conditioning services? Window Cleaning can help guide your efforts. It comes with an intuitive visual interface, attractive galleries, Revolution Slider, Essential Grid, and Visual Composer. Thanks to a fully responsive layout, your website looks great on all last-generation devices. Ready to make your pick? Hit the buy button. 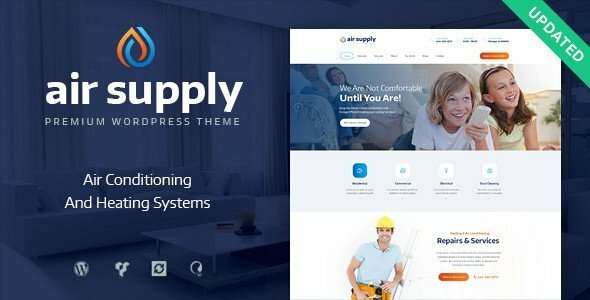 Pick this nice and powerful WordPress theme to build renovation, plumbing, electrical, decorating or roofing websites. The theme is responsive, SEO-friendly, WooCommerce ready, easy to install and update. What’s more to say? Hit the buy button and love it. Designed with care, this modern WordPress theme is a perfect choice for carpentry, renovation, or construction websites. It comes with responsive layout, WPML support, SEO-optimization, Revolution Slider and Visual Composer. Even with a skill gap, you can make it look attractive, professional and modern. Get the word out about your new baby. Make your pick. 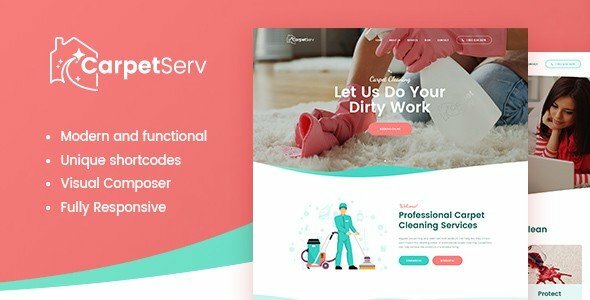 Don’t miss this clean, attractive and a mobile-friendly WordPress theme tailored for cleaning, maid and maintenance services. It comes with all necessary features you may need to make your website stand out from the crowd. Get more clients flocking to your site. Explore the power of this home maintenance WordPress theme now. Wise Move is a nice and worry-free solution for transportation and logistics companies. The theme can also be a great choice for home repair and maintenance businesses like plumbing, carpentry, renovation, construction, etc. Find a bunch of useful features, custom plugins, shortcodes, multi-layout pages, and more. Stay tuned. 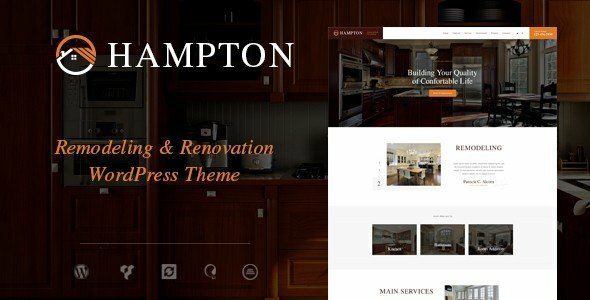 A professional and nice WordPress theme can be a great choice for home maintenance, handyman, plumbing, electrician or painting businesses. With the help of drag-and-drop page builder create new pages as simple as that. The theme is WPML ready, responsive, well documented, and ready to go out-of-the-box. Definitely, one to try. With Handyman, you can get the best solution possible. This is a great choice for all types of home maintenance, renovation, and repair businesses. It comes with a Working PHP Contact Form, Google Map integration, Bootstrap functionality, responsive layout, and a set of awesome fonts. Give your website a unified look and feel. Hit the buy button. 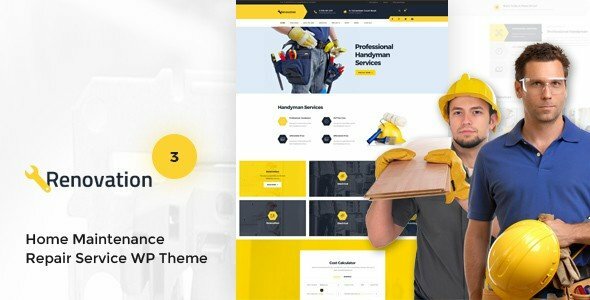 Don’t miss this powerful and attractive home maintenance WordPress theme. It fits well for electrical, plumbing, bathroom repair, and interior maintenance service businesses. Explore a set of pre-designed pages, 22+ premade elements, 3+ homepage layouts SEO-optimization, clean and valid coding. Stop holding yourself back. Get started with Etro today. 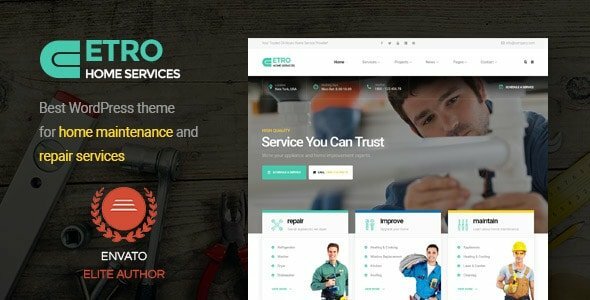 Looking for a minimalist WordPress theme for your home maintenance service website? Well, Corgan, can help guide your efforts. Designed with care, the theme comes with the clean typography, mobile-friendly layout, SEO-optimization, WooCommerce integration, and a great support. Corgan can bring you closer to your business goal. Enjoy its live demo preview. You don’t need $1,000 to make difference in your home maintenance business. 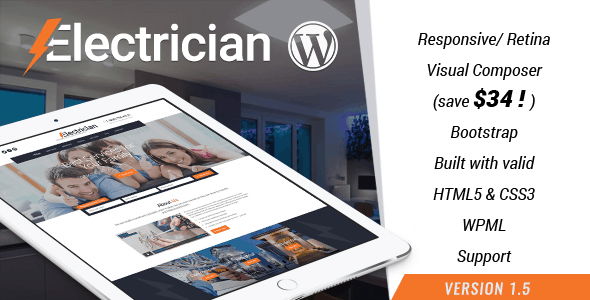 Electrician WordPress theme can help point you in the right direction. Get ready to feel inspired and encouraged to stay ahead of the game. The theme is responsive, WPML ready, and includes Nivo Slider plugin. Try it simply just to try it. 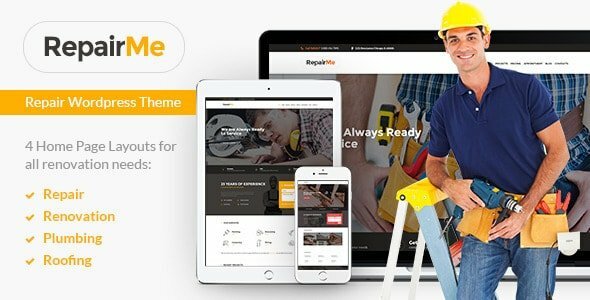 If you’re passionate about your home maintenance or plumbing business, Plumbing Spl WordPress theme can make all the difference in your business. Represent your plumbing and repair services in the best way possible. Keep your eyes open and choose the right way to sell. Think big and you can take your business to the new heights. 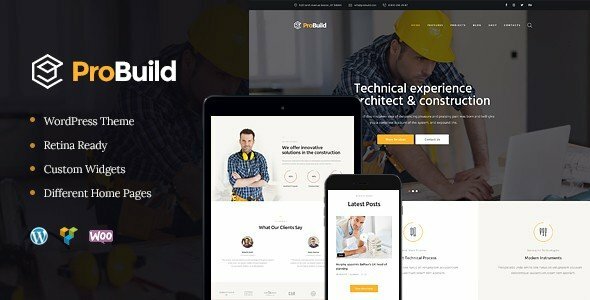 This clean, nice and responsive WordPress theme fits well for building, construction, and remodeling service businesses. 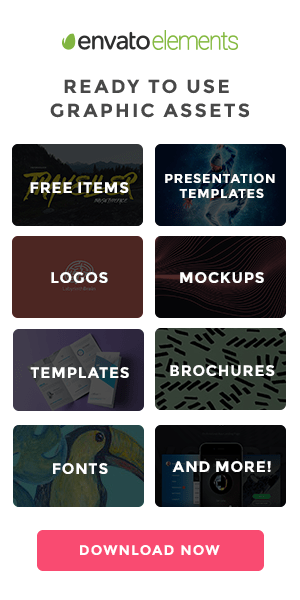 It includes different gallery layouts, WooCommerce integration, a set of custom plugins, awesome fonts, and intuitive navigation. With a click of very few buttons, make your website shine. Let your website work as well as it possibly can. Hit the buy button. With Hampton, you can save your time, time that could be better spent increasing sales and growing your business. The theme suits well for home repair, house renovation, and remodeling businesses. Give your visitors all the necessary information about your brand and services that they’re looking for. The theme includes Slider Revolution, Visual Composer, Booked Appointment, and social media. So go for it. 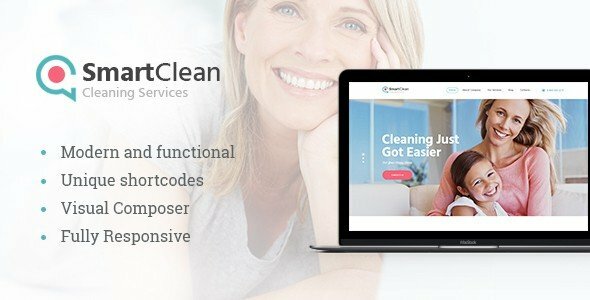 Here’s a nice, clean and functional WordPress theme tailored for cleaning, maid, janitorial and maintenance service businesses. Thanks to the catchy and vibrant design, your website will look fresh and interesting. Represent your unique services to your potential customers and get closer to your goal. The theme is mobile-friendly, SEO-optimized, well documented, and easy to navigate. Don’t miss it. You’ll like the way this modern and clean WordPress theme looks and functions. It’s well suited for cleaning, maid, and maintenance service companies. With Cleanco, you can install, edit, manage and update your website hassle free. Explore the advanced features included in the theme to stay ahead of the game. Awesome appointment booking and scheduling options can help attract more natural traffic. 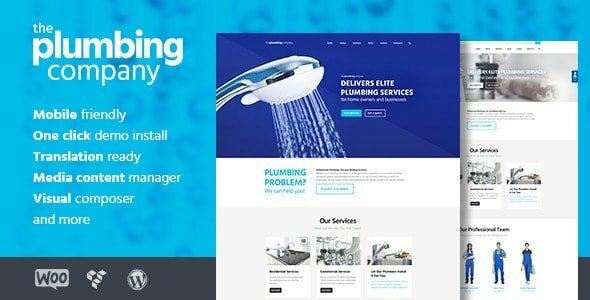 If you want to build a full-fledged plumbing online store, this modern WordPress theme is just the thing for you. 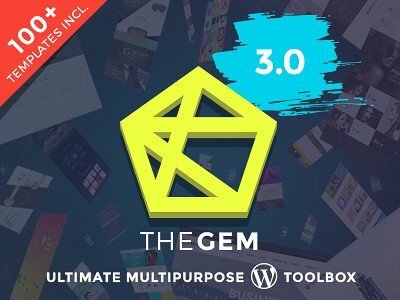 Compatible with a set of premium plugins like Visual Composer, Essential Grid, WooCommerce, and more, the theme can make all the difference. Empower the beast inside this modern WordPress theme to design the digital front door of your home maintenance business. Play around its live demo. 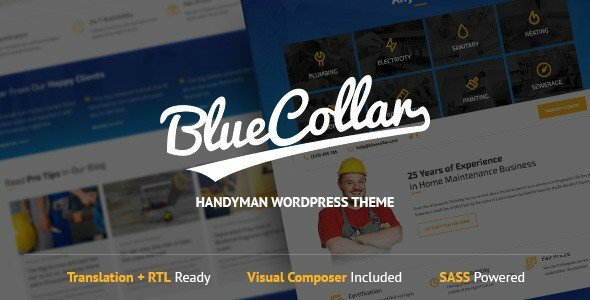 Looking for the best WordPress theme for your construction and building business? ReConstruction can help narrow down your choice. This modern worry-free solution fits well for home maintenance, repair, construction and building service companies. The theme is easy to customize, update and navigate to keep your website fresh and interesting. Be different. 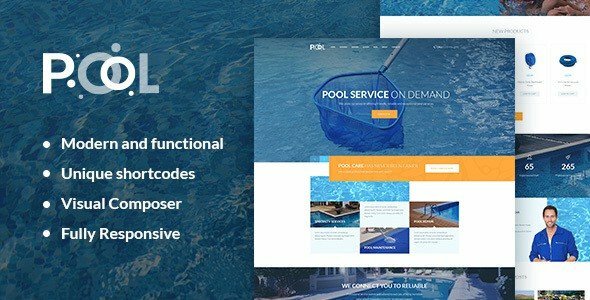 Get this home maintenance WordPress theme to create modern pool maintenance website in minutes. With lots of advanced features included, this theme can help save your time and efforts. Thanks to WooCommerce integration, your online store is ready to go live in no time. In addition, it has Revolution Slider, Essential Grid, Visual Composer, responsive layout, SEO-optimization, and more. Get it. 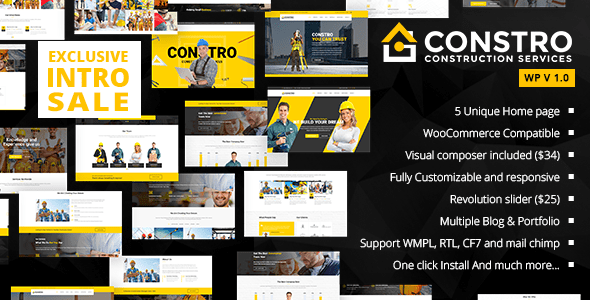 Designed to match the needs of trades and laborers, this modern WordPress theme suits well for builders, plumbers, cleaners, and electricians. It comes with responsive and Retina ready layout, powerful admin panel, 3 pre-designed layouts, and a set of awesome fonts. What’s more, the theme is WooCommerce and WPML ready, SEO-optimized, and a well documented. Don’t miss it. This 100% responsive and user-friendly WordPress theme is a great choice for your construction, building or maintenance website. 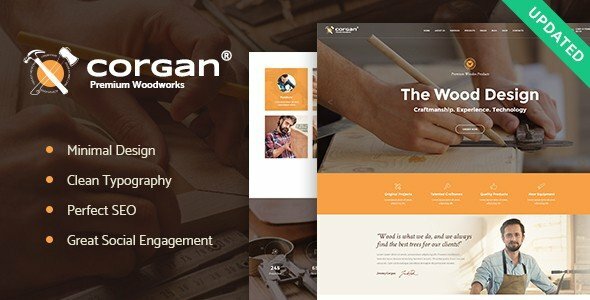 The theme offers the flexible layout, Bootstrap functionality, unique design, and accessibility to help boost your business online. Time to give this template a try. Hit the live demo button to see the theme in action. Save your time when creating a top-notch website for your renovation or construction company. Handyman Services can help point you in the direction. With a click of very few buttons, create new pages, tweak the overall look and update your website to build a perfect online sales funnel. Go look it up yourself. 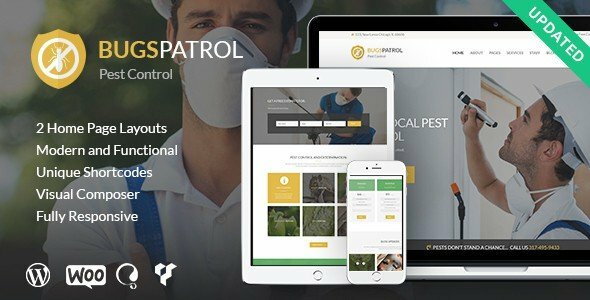 Here’s a modern WordPress theme intended for pest control service websites. The theme is WooCommerce integrated, SEO-friendly, compatible with lots of premium plugins such as Revolution Slider, Essential Grid, and more. Don’t miss it. Maximize the return on investment of your website. 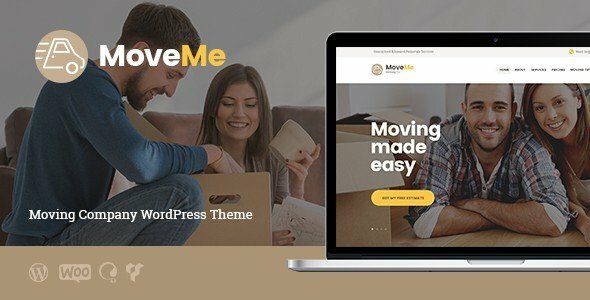 A nice and powerful WordPress theme can be a perfect choice for moving and transportation service companies. This is a flexible, versatile, responsive and user-friendly solution that can help you create a strong visual presence for your business. Use your website to your full potential to drive sales and revenue. Try it. 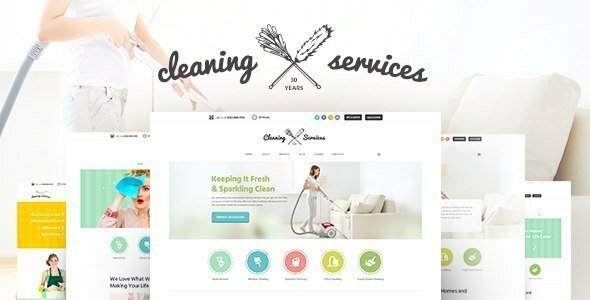 Enjoy a clean, modern and nice design of this WordPress theme crafted for cleaning, maid, janitorial and maintenance service companies. With Appointment calendar, your clients can order cleaning beforehand. Thanks to a fully responsive layout your consistent website will look awesome on all modern devices and screen sizes. See for yourself. 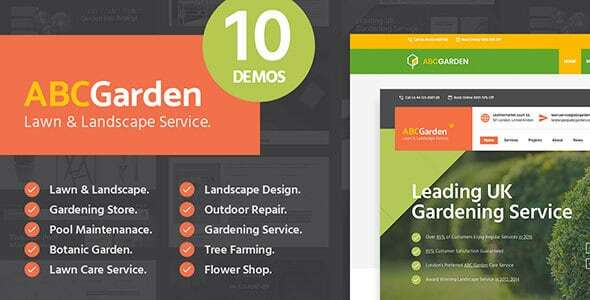 ABC Garden is a nice and clean WordPress theme tailored for landscaping companies and lawn care service agencies. It comes with 200+ theme options, a Contact Form 7, WPML support, WooCommerce integration, and a bunch of premium plugins. Help your business reach great heights of success. Definitely, one to try.